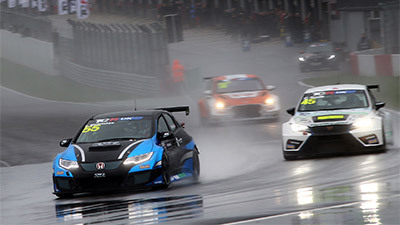 In-keeping with its position as a team at the forefront of UK motorsport, SWR has evolved once again for 2018 with a planned two-car entry in the new TCR UK Championship as well as continued participation in endurance racing in the GT4 European Series and British GT4. While this year marks the first foray into touring cars for the SWR brand, the team does have vast experience of ‘tin top’ competition from the heyday of Tom Walkinshaw’s world-renowned TWR operation, which was a major force in the glory days of the ‘Super Touring’ era. 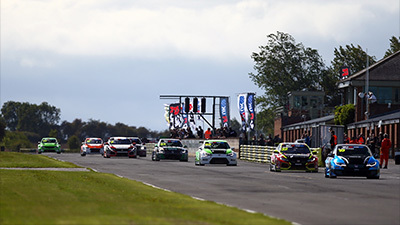 From headquarters in Chipping Norton, Oxfordshire, SWR will run a pair of Honda Civic Type-R cars during the maiden season of TCR UK where the team intends to hit the ground running as it has in every category it has contested since the squad’s inauguration in 2013. Owned by Sean Walkinshaw, a race winner and championship front-runner in Super GT in Japan and former participant in the Blancpain GT Series, SWR also intends to add British GT4 action in 2018 to its GT4 European Series programme with the potent RJN built Nissan 370Z. Day-to-day operations for the race team are handled expertly by Team Principal Ken Page, who brings wide-ranging knowledge and a wealth of experience from Formula One and the highest echelons of global sportscar racing with the aforementioned TWR operation of Sean’s father Tom. Since its arrival in 2013, SWR has been synonymous with professionalism and the highest standards of preparation. This was clear to see from the outset when the team debuted in the then BRDC Formula 4 Championship, which latterly became BRDC British Formula 3. Securing multiple race victories in F4, the squad was also a podium-finishing front-runner in F3. Further experience within the team comes from SWR’s motor racing links on the opposite side of the globe. Its sister Walkinshaw Racing operation in Australia, headed by Sean’s brother Ryan, competes in V8 Supercars and national GT racing.